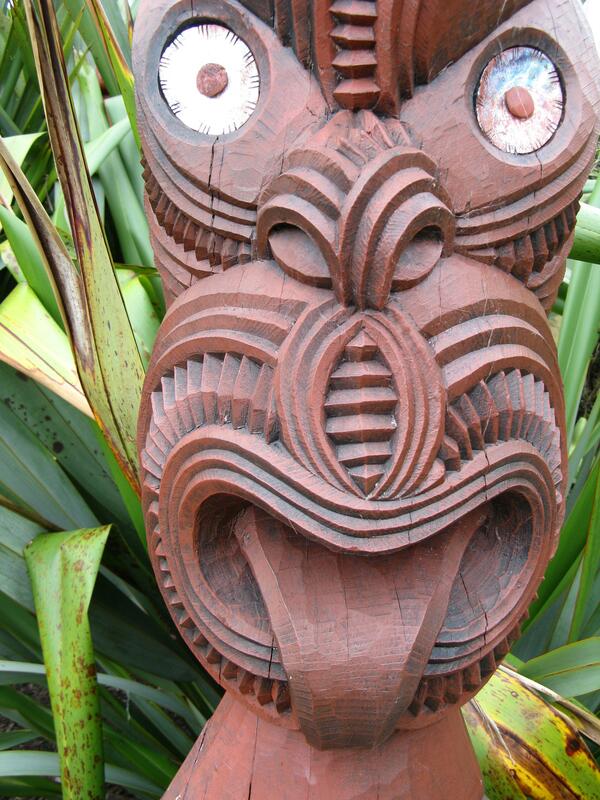 I hope this wooden carving of a Māori totem has not scared you away from this post. I believe these symbolic carvings are placed on totems at the entrance to the Māori Pa (meeting-house) to frighten off evil spirits. 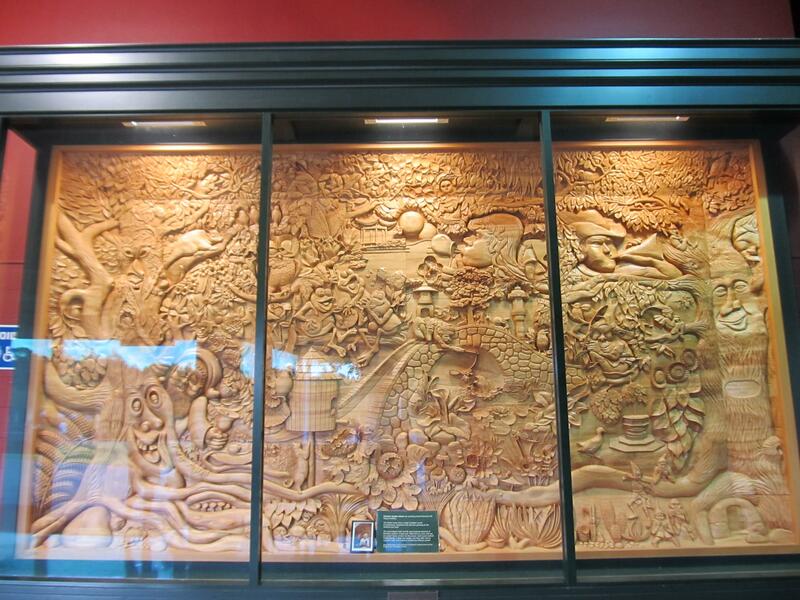 As Māori did not have a written language until the 19th century, carvings were used to record and preserve the history and culture of our people. Ornate Māori carvings can be found on meeting houses, canoes, weapons and jewellery – with superior carvings seen as a sign of prestige. Māori carvings are a record of tribal affairs and pay deep respect to ancestors, history and the people for whom they are prepared – although they cannot be read or interpreted in a Western sense. In 2 weeks time I will be back in New Zealand and hope to see more of the Māori culture. This carving was fascinating and as you looked you would see more and more details. Lovely theme this week Ailsa. Click here to take a look at other posts. That is a wonderful art. Good shoots. Another wonderful take on this theme. Such a great collection PP . I do love those details in the mural .. tiny flower petals am sure it was very therapeutic to produce this sort of craft . That was an amazing carving. Did you enlarge it and look at the detail? Well I think you have guessed it Poppy about Jack, he actually started school when he was 6 and left when he was 13 !!!! All self taught from then. The frogs are so cute! Stunning works of art. I had no idea. Thanks for sharing bits of your travels! Love that Maori carving! I love wood, and have a number of small bowls and carved items from my travels. Wood is very tactile, don’t you think? Yes I agree. In 1987 I went to India and bought a small carved sandalwood camel to remind me of my 4 day camel trek, and I can still smell the sandalwood scent when I rub my hand over him. Fabulous! What a brilliant way to bring back your memories…. 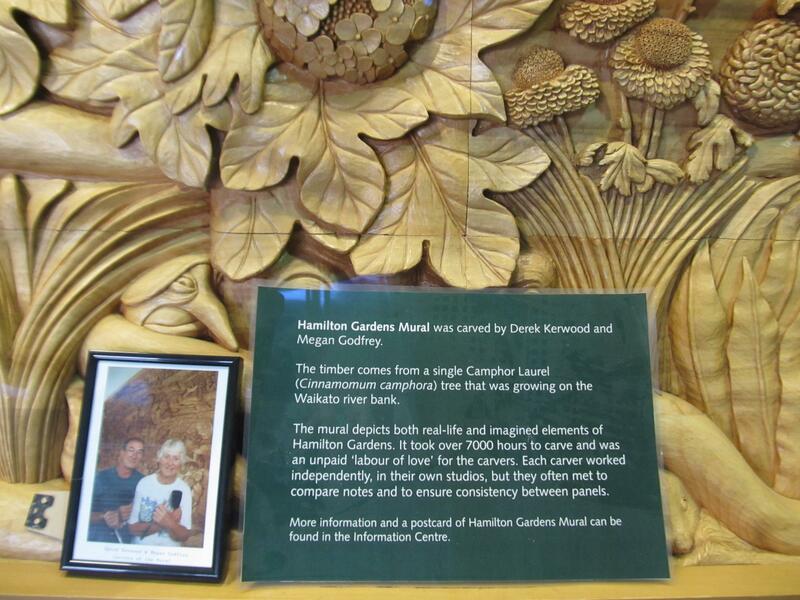 Love this post – love wood, trees and Maori carvings! Looking forward to more of this! I love the natural face on the trunk of the tree, But I just love Wood.. Those benches look to be old… I just love the feel of wood..it still holds the energy of the tree.. I have several pieces of carved wood in my home, As well as a wonderful nest of tables with carved Chinese type themes which have glass then laid over the tops of them…. I love to polish the carved sides as well as a wooden Buddha which stands nearly two foot high on my landing..